A three-judge bench of the Supreme Court on Friday rejected a plea to frame a national policy to promote and propagate the national song and national flag in spirit of the Article 51A to achieve the great golden goals, as set out in the Preamble of the Constitution. 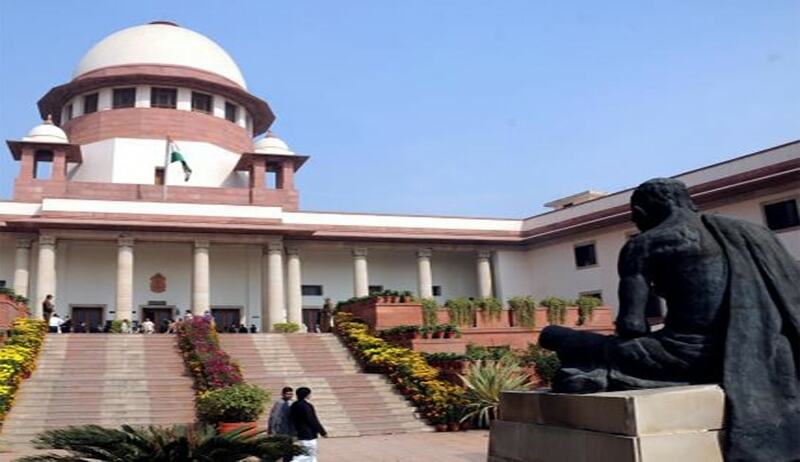 The bench of Justice Dipak Misra, Justice R Banumati and Justice Mohan M Shantagoudar, while rejecting the prayer of BJP leader Ashwini Kumar Upadhyay, observed that Article 51A(a) of the Constitution of India does not refer to 'national song'. It only refers to national flag and national anthem. “Therefore, we do not intend to enter into any debate as far as the national song is concerned,” it said. Senior Advocate Vikas Singh, who appeared for the petitioner, submitted that it is similar to writ petition No.855 of 2016, in which the bench made national anthem a must in movie halls. But the bench didn’t agree. “On a perusal of the order passed therein, we do not find that it relates in entirety to prayer (a), for our earlier order does not relate to 'national song' or 'national flag',” it said. Regarding another prayer in the writ petition that “d) ascertain the feasibility of singing / playing the National Anthem and National Song in the Parliament/Assembly, Public Officers, Courts and Schools on every working day,” the bench replied: “In the earlier writ petition, a contention was advanced by the learned Attorney General for India pertaining to schools and, therefore, as far as the prayer relating to 'schools on every working day' is concerned, it is kept alive. The rest of the prayer, i.e., of prayer (d) is dismissed as not pressed. We may hasten to clarify, when we have kept the prayer alive, that does not mean that we have expressed any opinion on the same”. The bench directed the registry to tag the matter with writ petition (civil) No. 855 of 2016.